Last week, I was lucky to enough to go to a conference in San Francisco called TECHMunch. I learned a lot about blogging, that I don’t think I could have gotten just reading things on the internet. There were several portions to this conference and I wanted to share a little bit of what I took away from the panels. When I first got there, I was amazed at the building that we were in. It is gorgeous, covered in a mural that represents not only migration to the country, but also women’s history. I checked in, got my badge that said “Krysten Wasik @themomnoms,” if you know me, you know that this little thing made me so freaking happy. I didn’t really know what to do, I’m socially awkward that way. So I walked around a little bit. There were candy bowls set up on the tables, drinks along the back wall, about 20 power strips for a charging station, on the side people were setting up different kinds of foods for breakfast nibbles. I grab a water and a diet coke, find my seat, and set up my computer. Babette Pepaj of bakerspace.com welcomes us around 9:30. She tells us that the reason that they finally came to San Francisco was thanks to Sean Timberlake, who said that the city needed it. By this time there are probably 100 people in the room. The first panel gets started. Moderated by Dianne Jacob; featuring Elise Bauer, Michelle Tam, and Gabi Moskowitz. I know Dianne from reading her book about a million times before deciding to really start the blog. Gabi from @brokeassgourmet said, “Lean into who you are. Do something that easy and is true to who you are.” Which might be my favorite answer. I have really done that, I have instilled my passions and really just jumped into my brand. So at least I know I’m going somewhere with this whole blog thing. This is something that I really struggle with. I want everyone to like me, no matter what. So if they don’t, I always feel like a failure. But from now on, Michelle’s voice will be in my head, don’t like it, there are a million other blogs. Launching a Food Biz was the second panel. Moderated by Erik Deutsch and featuring Eileen Joy Spitalny, Lisa Q Fetterman, and Lisa Rogovin. 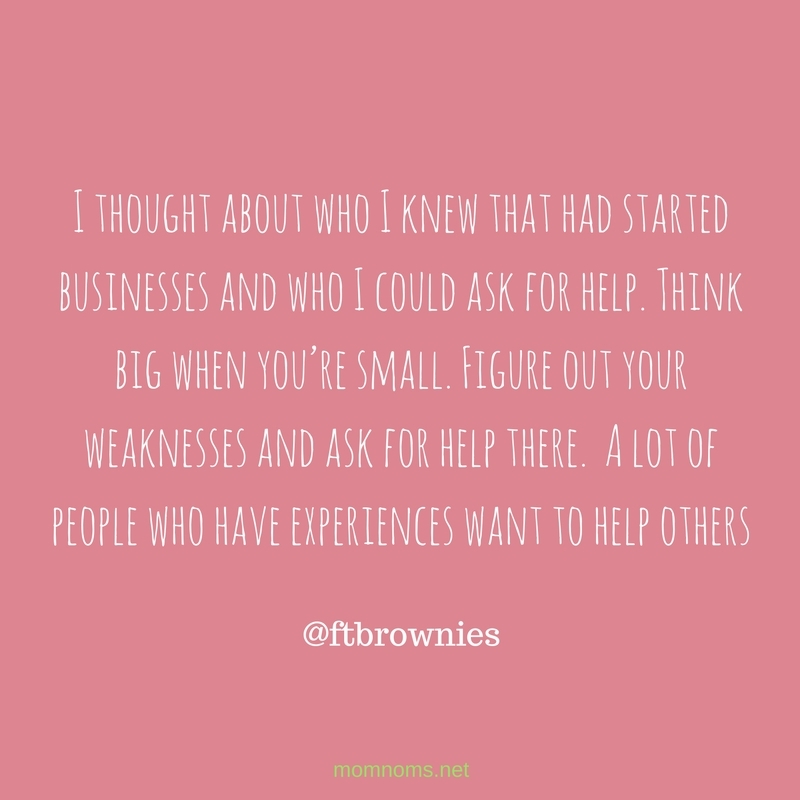 I found this really interesting, even though I had not really thought about opening a food business at any point. I feel like I have done this a lot with the blog. I know where I am weakest and I have really tried to ask people for help, so that this could become successful. Lisa Q. Fetterman from @nomiku had a goal, to meet 5 different people and really get to know them every day. My anxiety will probably never allow me to do this though. I sent a tweet out telling people to come up to talk to me, because I was too much of an anxious mess to go up to other people. Yeah. Pinterest Tips was the next panel. Moderated by Julie Gallaher featuring Irvin Lin and Nik Sharma. So starting off this panel, I am definitely starstruck, I follow Irvin on Snapchat and he’s kind of a big deal. Well, in my opinion he is. I actually went up to him after the conference was over and told him this. I am such a fangirl. Basically what I learned about Pinterest is that everyone has a different way to do things. Some people post 50 pins consistently every day, some post 100 in a day and then none at all. Pinterest has much better photos than what you really find on Google, so I agree with this 100%. The next presentation was by Hetal Vasavada- participant on MasterChef, new mom, and blogger. Everything that she said was so true. It is so frustrating when you make something beautiful and it doesn’t translate well to a photograph. But even celebrity chefs have a problem doing this. I am just going to completely copy and paste what she said, because it was a very good presentation. Props- adds texture and colors to the photo- makes it feel homey. When we went to the tasting after the conference, I was able to speak to her more. She has a 4 month old, which is awesome, so we both have the whole mom thing going on. I hope to hang out with her a little more in the future. Our final panel before lunch was Crowdfunding Your Cookbook. The goal for almost every food blogger is to have a cookbook. But the market is so over saturated, as is food blogging, so some people decided to get creative and go to Kickstarter, so that they can be in complete control over what their cookbook is and will be. This panel was moderated by Cheryl Sternman Rule and featuring Kathy Strahs, Hank Shaw, and Leslie Jonath. How will what I am doing help others? It’s a big question and I don’t feel like I will be able to produce a book until I really know the answer of that question. Of course, this being a food blogger conference, the food was fantastic. My favorite was probably the mole nachos from @GotMilk. Babette introduced us to their new app, cookbookcafe.com. It is a really interesting concept of basically having a free place for you to publish your cookbook. Once I get to where I am confident enough with my product, I will be testing it out on their first. Next was Working with Brands with Jim Lin and Erik Deutsch. If a brand asks you to write something about them, then more than likely it’s free. But if you are writing on behalf of them, this is the paid gig. The next panel was Emerging Video Tech featuring Christina Michelle Bailey. If anyone knows me, I have been avoiding doing videos like a plague. I’m afraid that it’s just a phase. Well, on my first video, that I just produced, I really took this question into account. Having a short video with personality would suit my brand. But where would I put this? I have it up on Youtube right now, but this might not be the best place for it, I feel like it’s just getting looked over. Uploading to Facebook is my next move. And then I use SnapChat, because I feel this is an easy way to start a conversation with people. Nancy Hwang from Google spoke on how to Improve User Engagement in Today’s Mobile and Social World. People do not like to wait and they like to be able to get what they want when they want it. One or two seconds too long and they’re off of your page onto another page. The final panel was about the SF Food Scene moderated by Sean Timberlake featuring Emily LaFave Olson, Simone Stotzoff, and Adam Zoloft. I really like this panel because we got to look at other ways to get into the culinary field without having to be in the kitchen everyday. If you know my background, you know that I have been in the kitchen for about a decade. During the time where I was a sous chef, I was working 90 hour weeks, with little money to show for it. Companies like eatfeastly.com are helping people who really have this passion, but not necessarily the means to come in and show their food off. In fact, I have just applied to be a chef at eatfeastly, thanks for talking me through it Adam! After all was said and done, we had a tasting at The Myriad. I decided to walk over there, I had been in the same room for way too long. Right off of Market, there is a little shop, with multiple booths set up. Perfect for if you’re wanting to get into the business, but cannot afford a storefront, especially here in San Francisco. I immediately went for the liquid courage in the form of a Sourdough Sour by San Francisco Brewing, Co.
Then I started to introduce myself to people, really networking for the first time all day. Unfortunately, I forgot my business cards, so my goal for tomorrow is to email everyone who gave me their card, so that they know I didn’t forget about them. I had octopus poke that was to die for, especially paired with a Strawberry Moscow Mule. Thank you bakespace.com for putting this on for us, I am so glad that I went, and thank you to everyone who participated, I learned so much! Follow me on Twitter and Facebook for more updates like these!